Barger Tech, Ltd., announces the launch of BEST Plan – a groundbreaking holistic approach to improving livestock waste-management systems, which will eliminate the Open-Air Waste Lagoon and Spray Field method of managing on-farm waste materials in the state of North Carolina. RALEIGH, N.C., October 9, 2018 – Barger Tech, Ltd., announces the launch of BEST Plan – a groundbreaking holistic approach to improving livestock waste-management systems, which will eliminate the Open-Air Waste Lagoon and Spray Field method of managing on-farm waste materials in the state of North Carolina. Barger Tech has designed, engineered, and provided a solution for the livestock industry in North Carolina that promises to remove the need for on-farm lagoons and spray fields at no capital cost to farmers or integrators. Barger Tech's BEST Plan waste management system, which utilizes Environmental Superior Technology, is able to convert animal waste and wastewater effluent into clean water and other by-products that can be safely reused and/or returned to the watershed, with minimal environmental impact, and without the need for open-air waste lagoons and spray fields often found in modern-day farming. “Having listened carefully to the traditional challenges of the technical and economic viability of such solutions—Barger designed a system not only with proven waste treatment technology but a business plan that allows for no upfront costs and a shared revenue model to improve the bottom line of farmers and integrators” said Eric Barger, founder of Barger Tech, Ltd.
Having listened carefully to the traditional challenges of the technical and economic viability of such solutions—Barger designed a system not only with proven waste treatment technology but a business plan that allows for no upfront costs and a shared revenue model to improve the bottom line of farmers and integrators. 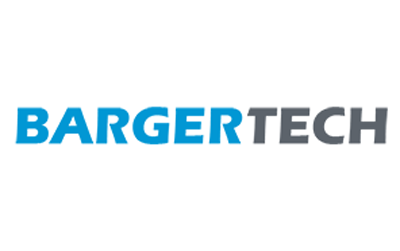 Founder of Barger Tech, Ltd. The horrific destruction caused by Hurricane Florence and other recent events have challenged the traditional methods of animal waste management in North Carolina and beyond. Barger Tech has invested 3 years, and coordinated 360 plus meetings with Hog Integrators, Grower/Farmers, Academia, Legislators, and Private and Public entities to design, engineer, and provide a solution for the livestock farming industry in North Carolina with the industry’s future growth and prosperity firmly at the forefront of their minds. With their BEST Plan, Barger Tech has designed a comprehensive solution to this systemic challenge, focusing on best-practice, efficient, and cost-effective solutions for farmers and the wider supply chain that, compared to traditional waste management methods, can avoid the devastating after-effects of natural disasters like Hurricane Florence. BEST Plan provides tangible environmental benefits by transforming waste products into clean air, water, and soil. This will support the livestock industry, helping it to grow and flourish in North Carolina, without the added risk of damages or environmental impact claims within local communities. Barger Tech will continue its push to collaborate with all interested parties involved in the public and private debate about “What’s next in North Carolina?”, including multiple Town Hall style meetings with farmers, integrators, government leaders, and concerned citizens, over the coming weeks. Barger Tech, Ltd., an environmentally focused waste management company, designs, owns, and operates integrated, dynamic, and interchangeable Food, Energy, and Water systems that allow for environmentally sustainable customized solutions for a variety of customers and applications, including livestock production farms and the wider community. Barger Tech offers two distinct patent-pending environmental technologies combined within their BEST Plan system: an on-farm waste-flushing system (Super Flush™) and a centralized organic environmental reclamation plant (Lagoon Eliminator™) that eliminates the open-air lagoon and spray-field method of managing waste. The on-farm Super Flush™ system treats the effluent, recycles water on the farm, and transports remaining waste to the centralized processing center (Lagoon Eliminator™) for additional treatment and subsequent extraction of valuable commodities. For more information about Barger Tech, Ltd., BEST Plan, and future events; please visit www.BargerTechLtd.com, contact EVP Strategic Initiatives, Nick York, at [email protected] and 1-440-522-0599 or Max Smetannikov, Publicist for Barger Tech at [email protected] and 1-646-205-7030.